A commissioned work in the collection of Faruk Somer. Hollywood celebrities from the 1940s and 50s throwing an exotic party. 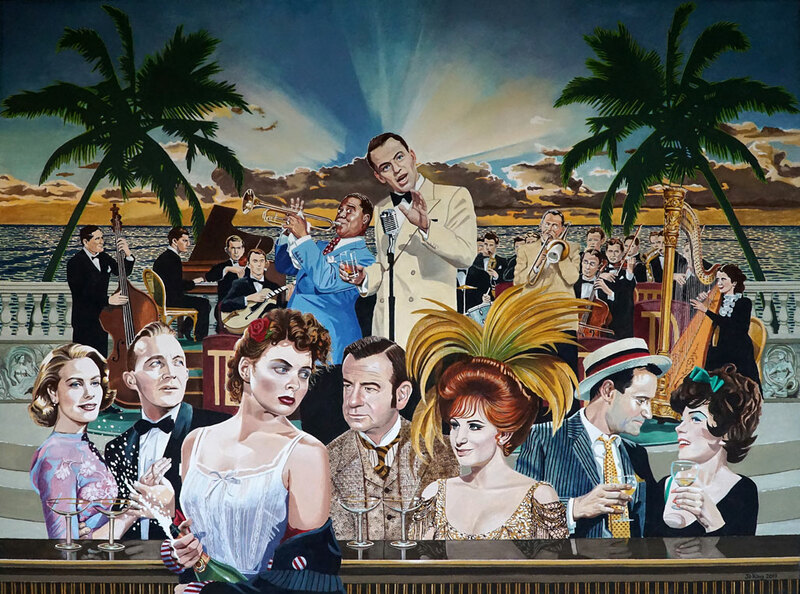 The celebrities include Frank Sinatra,Louis Armstrong, Grace kelly, Bing Crosby, Ingrid Bergman, Walter Matthau, Barbara Streisand, Jack Lemmon, Shirley MacLaine and the Tommy Dorsey Orchestra.